Vic Rawlings is a composer, improvisor, teacher, and instrument builder based in Boston. He performs and teaches across North America and Europe. He uses instruments of his own design: an amplified/extensively prepared cello and a highly unstable electronic instrument with an array of exposed speaker elements. He collaborates with a broad range of artists (Christian Wolff, Ikue Mori, Andrea Neumann, Sean Meehan, and Bhob Rainey), and works in film, theater and dance. His writings have appeared in a variety of journals and his work has been widely reviewed. He gives artist talks and leads master classes and workshops at numerous and diverse institutions, including Harvard, Princeton, Oberlin Conservatory, schools for the blind, high schools, grade schools, juvenile detention facilities and homeless shelters. His sound-based music curriculum engages students of all levels in participatory experiences that broaden their appreciation of the phenomenon of sound and the possibilities presented by music. The BSC: amplified/prepared cello, electronics with Bhob Rainey, director, (soprano saxophone), James Coleman (theremin), Greg Kelley (trumpet), Mike Bullock (contrabass), Howard Stelzer (tapes), Liz Tonne (voice), Chris Cooper (prepared guitar). undr quartet: amplified/prepared cello, electronics with Liz Tonne (voice), Greg Kelley (trumpet), James Coleman (theremin). Duo with Mike Bullock: amplified/prepared cello, electronics with Mike Bullock (contrabass and electronics). Duo with Tim Feeney: amplified/prepared cello, electronics with Tim Feeney (percussion). Mawja: amplified/prepared cello, electronics with Mike Bullock (contrabass and electronics), and Mazen Kerbaj (trumpet). Symptomatic: electronics with Steve Norton (reeds). Lucre: amplified/prepared cello, electronics with Bryan Eubanks (electronics), and Chris Cogburn (percussion). NRA: amplified/prepared cello, electronics with Tatsuya Nakatani (percussion), and Ricardo Arias (bass balloon kit). Laurence Cook Disaster Unit: amplified/prepared cello, electronics with Laurence Cook (percussion), Jason Lescalleet (tape loops, objects), and Greg Kelley (trumpet, microphone). Other collaborations: Michael Pisaro, Ikue Mori, Christian Wolff, Lionel Marchetti, Lê Quan Ninh, Jérôme Noetinger, Eddie Prévost, Keith Rowe, Otomo Yoshihide, Andrea Neumann, Borah Bergman, Daniel Carter, Donald Miller, Jaap Blonk, Stephen Drury, Laurence Cook, Christine Sehnaoui Abdelnour, Sharif Sehnaoui, Jack Wright, Newton Armtrong, Bertrand Gauguet, Sean Meehan, Jake Meginsky, Bill Nace, David Gross. Providence Community Music Works, Providence, RI. Semester-long teaching residency and performance with student ensemble. Introduced grade-school string players to instrumental preparations, amplification, extended techniques, and their use in sound-based free-improvisation. Dartmouth College, Hanover, NH. Master class: Collective Free Improvisation, with Tim Feeney. Texas School for the Blind and Visually Impaired, Austin, TX. Workshop: Sonic Exploration: Exercises & Activities. Oberlin Conservatory, Oberlin, OH. Workshop: Electroacoustic Instrument Building, master class: Collective Electroacoustic Improvisation (with Tim Feeney), lecture: Rehearsal Techniques of The BSC (with Mike Bullock) as part of FestivOINC. Massachusetts Institute of Technology, Cambridge, MA. Workshop: Electroacoustic Instrument Building, master class: Collective Electroacoustic Improvisation. University of Texas, San Antonio, TX. Workshop: Electroacoustic Instrument Building (with Bryan Eubanks). Hardy Elementary School, Arlington, MA. Taught 8-week course: Sound Exploration Studio for 3rd, 4th, and 5th grade students based in exploration of sound through listening exercises, physics demonstrations, and sound-based improvisation. Nameless Sound, Houston, TX. Teaching residency, workshops: Electroacoustic Instrument Building for teen ensemble, Sonic Exploration: Exercises & Activities for groups of children in community centers, schools, and homeless shelters. University of California, Santa Barbara, CA. Artist talk and workshop: Electroacoustic Instrument Building (with Tim Feeney). No Idea Festival, Austin/San Antonio, TX. University of Texas, San Antonio, Workshop: Now that there’s cool gear, what do we do? (with Bryan Eubanks); workshop also presented at Switched On, Austin, TX; Recipient of Meet The Composer Grant. Universidad Autónoma de Yucatán, Mexico. 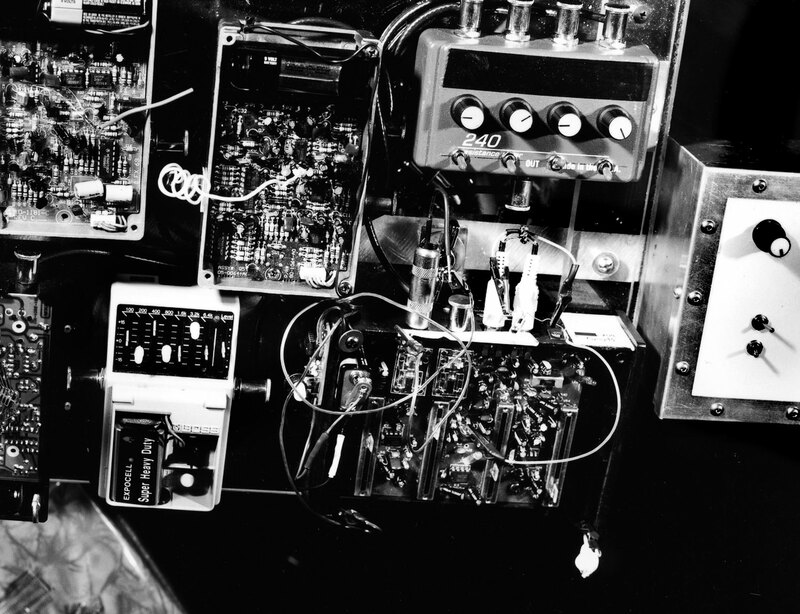 Artist talk and workshops: Basic Hardware Hacking and Electroacoustic Instrument Building. Pilgrim Treatment Center (juvenile detention center), Boston, MA. Semester-long teaching residency as visiting artist. Artist talk, Workshop: Sonic Exploration: Exercises & Activities. Oberlin Conservatory, Technology in Music and the Related Arts (TIMARA), Oberlin, OH. Workshop: Cardew’s Treatise, (with Tim Feeney). Michigan State University, East Lansing, MI. Artist talk and master class: Collective Electroacoustic Improvisation (with Tim Feeney). University of California, Berkeley, Center for New Music and Audio Technology (CNMAT), Berkeley, CA. Artist talk and workshops: Electroacoustic Instrument Building, Collective Free Improvisation (with Tim Feeney). Megapolis Festival, Boston, MA. Workshops: (Easy/Uncomplicated/Elemental) Electroacoustic Instrument Building and Collective Free Improvisation (with Bhob Rainey). University of California, Davis, CA. Workshops: Electroacoustic Instrument Building, Collective Electroacoustic Improvisation (with Tim Feeney). Cornell University, Ithaca, NY. Artist Talk and panel discussion with Tim Feeney, Newton Armstrong. Presented by Department of Music. STEIM, Amsterdam, Netherlands. Ensemble residency with Mawja. Rivers School Conservatory, Weston, MA. Seminar on Contemporary Music for the Young. Lecture/performance: Contemporary Improvised Music and Sound: Context, Method, Performance (with Tatsuya Nakatani). Semester-long teaching residency: introduced grade- and high-school classical musicians to instrumental preparations, amplification, extended techniques, and their use in sound-based free-improvisation. Performance with student ensembles at the Seminar. Wesleyan University, Middletown, CT. Artist residency with The BSC. Performance of student works in Memorial Chapel. Princeton University, Princeton, NJ. Artist residency with The BSC. Performance of student works with The BSC and duo performance with Prof. Dan Trueman. Harvard University, Cambridge, MA. Artist in Residence. Led workshops on collective improvisation. Solo and student ensemble performance at Paine Hall. Multicultural Education and Counseling Through the Arts (MECA) Community Center, Houston, TX. Artist residency. Led group improvisation workshops and ensemble performance with high school and adult students, presented by Dave Dove and the Pauline Oliveros Foundation. Music Instructor: Fretted Instruments (guitar/banjo/mandolin/bass, etc.). Develop curriculum and teach traditional/contemporary styles of music and music theory, with an emphasis on free and idiomatic improvisation for students aged 5 to 83. Private instruction and ensemble coaching. Tinicum Art and Science High School, Tinicum, PA, Music Department Faculty and curriculum development. Uphams Corner Charter School, Boston Public Schools, Boston, MA. Teacher. Developed curriculum for, and taught Middle School music and sound exploration program based in part on R. Murray Shafer’s book, Creative Music Education. Citybound Residential Treatment Center, Boston, MA. Expressive Therapist. Initiated and implemented music/expressive therapy group at residential treatment facility for at-risk urban youth. Supervised DSS-referred male adolescent special needs population in all aspects of residential life. Sound Installation for 54-channel speaker system, voice recording, and motor-activated switch in collaboration with Susan Howe, poet, at Bennington Writers Seminars, Bennington College, Bennington, VT.
Dartmouth College, Dartmouth, NH. Presented by Music Department. With Tim Feeney. Cage: Beyond Silence, a festival of John Cage, Philadelphia, PA (presented by Bowerbird in conjunction with the Philadelphia Museum of Art). Performances by The BSC: John Cage’s Song Books, at The Episcopal Cathedral of Philadelphia and The Philadelphia Museum of Art. FestivOINC, Oberlin Conservatory, Oberlin, OH. Presented by Modern Music Guild. Duo performance with Tim Feeney and large ensemble performance including students and other faculty. No Idea Festival, Austin and San Antonio, TX. Performances with Greg Kelley, Bhob Rainey, Andrea Neumann, Chris Cogburn, Bryan Eubanks. Tour of the Northeast United States. With Mawja. CREATE (Center for Research in Electronic Art Technology), University of California-Santa Barbara. With Tim Feeney. Songlines Concert Series, Mills College, Oakland, CA. Duo with Tim Feeney; trio with Feeney and James Fei, (winds). SASSAS (The Society for the Activation of Social Space Through Art and Sound), in collaboration with Human Resources, Los Angeles, CA. Duo with Tim Feeney; trio with Feeney and Casey Anderson (winds/electronics). Boston Cyberarts Festival, Boston, MA. Curated by Eric Chasalow. With Bryan Eubanks. Goethe-Institut, Boston MA. Curated by Non-Event. With Greg Kelley, Liz Tonne, Jake Meginsky. Cha’ak’ab Paaxil Festival, Merida, Yucatan, Mexico. Solo and collaborative performances. Also performances in Mexico City at Fonoteca Nacional, Laboratorio Arte Alameda. The Stone, New York, NY. With Mike Bullock. Hampshire College, Amherst, MA. A night of…Michael Pisaro…, Performance of compositions with the composer. Floating Points Festival, Issue Project Room, Brooklyn NY. With Tim Feeney and Ricardo Arias. Modern Music Guild, Oberlin College, Oberlin, OH. With Tim Feeney. The Curtis R. Priem Experimental Media and Performing Arts Center (EMPAC), RPI, Troy, NY. With The BSC and Pauline Oliveros. PONDER 2: A full day of performances and installations, presented by Michael Pestel, Middletown CT. With Andrew Lafkas (contrabass), Bryan Eubanks, Mike Bullock. Single-String Instrument Live Performance/Installation. New England Conservatory, 6-hour performance of Karlheinz Stockhausen Intuitive Musik as guest with Callithumpian Consort. Stephen Drury, director. Center for New Music and Audio Technology (CNMAT), UC-Berkeley, Berkeley, CA. With Tim Feeney, Ken Ueno (voice), Matt Ingalls (clarinet). Cantor Arts Center, Stanford University, Palo Alto, CA.”The Metaphysics of Notation,” Mark Applebaum, graphic score. With Tim Feeney. Flux 53, Oakland, CA. With Tim Feeney, Ken Ueno (voice), James Fei (electronics), Chuck Johnson (electronics). Cornell University, Ithaca, NY. Presented by Department of Music. With Tim Feeney and Newton Armstrong. Mobius Gallery, Boston, MA. Presented by Non-Event. With Ikue Mori. Bent Festival, NYC. Presented by The Tank at Downtown Community Television Center. With Bryan Eubanks. Dartmouth College. Vaughn Recital Series. With Andrea Neumann, Jack Wright. Middle East Club. Laurence Cook Disaster Unit 10-year concert. Swedenborg Chapel, Cambridge, MA. Presented by Non-Event. undr quartet 10-year concert. Musique Action Festival. Nancy, France. With NRA. Also performances in Toulouse and Paris with Frederic Blondy, David Chiesa, and Bertrand Gauguet. STEIM, Amsterdam, Netherlands. Mawja and friends, with Christine Sehnaoui (alto sax), Sharif Sehnaoui (guitar), Jean-Léon Pallandre (recordings), as part of a weeklong residency. Phoneme Festival presented by Bowerbird at Circle of Hope, Philadelphia PA. Curated by Dustin Hurt. 3-concert series with The BSC and sub-groupings. Festival International de Musique Actuell de Victoriaville, Québec, Canada. With NRA. Issue Project Room, Brooklyn NY. With The BSC. Summer Institute for Contemporary Piano Performance, Jordan Hall, New England Conservatory, Boston MA. With The BSC and Christian Wolff. Seattle Improvised Music Festival. Gallery 1412. Seattle, WA. With Mike Bullock, others. Bent Festival, New York, NY. Presented by The Tank, Harvestworks. Solo electronics. Jordan Hall, New England Conservatory, Boston, MA. Enchanted Circle Series. With The BSC and Christian Wolff: “Edges”, composed by Wolff. Vision Festival, New York, NY. Curated by William Parker. With NRA. Roulette at Location One, New York, NY. With NRA. Summer Institute of Contemporary Piano Performance, New England Conservatory, Boston, MA. presented by Stephen Drury. With The BSC: “Treatise” composed by Cornelius Cardew. Tonic NYC, New York, NY. With Mike Bullock. Improvised and Otherwise Festival at Bric Studio 57, Brooklyn NY. With Mike Bullock. Les Voûtes, Paris, France. Trio with Mike Bullock and Benjamin Renard (electronics). Ten-day tour in France, including Les Instants Chavirés, Paris. Solo improvisation and duo with Mike Bullock. New Music Brandeis: Aleatoric and Improvised Music, Brandeis University, Waltham, MA. With undr quartet. BEAMS Electronic Music Marathon, Boston CyberArts Festival, Brandeis University, Waltham, MA. Curated by Eric Chasalow. With Greg Kelley. Festival of New Trumpet Music, at Tonic, New York, NY. Curated by Dave Douglas and Roy Campbell Jr. With Greg Kelley and Sean Meehan. Ten-day tour of the eastern and southern United States with The BSC, including Wesleyan University, Middlebury, CT.
Durrell Hall, Cambridge, MA. Presented by Non-Event. With The BSC and Otomo Yoshihide. Faculty Recital, New England Conservatory, Boston, MA. With Masashi Harada Condanction Ensemble and guest Malcolm Goldstein. Ten-day tour of the eastern and southern United States, including Alliance for Improvised Music (AIM), curated by Walt Davis, Chapel Hill, North Carolina. Solo improvisations and duo with Mike Bullock. Summer Institute of Contemporary Piano Performance, New England Conservatory, Boston, MA. Curated by Stephen Drury. “Unlimited” by Karlheinz Stockhausen, with The BSC and Drury. Impulse Response, iEAR Studios, Rensselaer Polytechnic Institute, Troy, NY. Curated by Jason Murphy and Scott Smallwood. With undr quartet. Summer Institute of Contemporary Piano Performance, New England Conservatory, Boston, MA. Curated by Stephen Drury. Performance of one page from “Treatise” by Cornelius Cardew. With The BSC and guest, Drury. Mobius Gallery, Boston, MA. Participant in performance/installation: “My Five-Year-Old Daughter Could Do That, an Anti-Music Performance and Installation” by Greg Kelley. New England Conservatory, Boston, MA. Morton Feldman Concert Series, curated by Stephen Drury. With undr quartet. Autumn Uprising Festival of New Improvised Music, Institute of Contemporary Art Boston, Boston, MA. Curated by David Gross and James Coleman. With undr quartet and Eddie Prevost’s Boston Procession. Two-week tour of the eastern United States with Greg Kelley, including Wake Forest University, Winston-Salem, North Carolina, presented by Louis Goldstein. Two-week tour of the United States with Saturnalia String Trio with Daniel Carter, including Salvador Dali Museum, Clearwater, FL, and Music of the Moment Series, curated by LaDonna Smith, Birmingham, Alabama. Vision Festival, New York, NY. Curated by William Parker. With Saturnalia String Trio with Daniel Carter. Massachusetts Institute of Technology (MIT), Cambridge, MA. Live performance contribution to vibro-sonic installation, “The Live Room, at the Limits of Architecture and Improvisation,” by Mark Bain. With Greg Kelley, Bhob Rainey, James Coleman. Tour of northeastern US with the Laurence Cook Disaster Unit, as opening act for Borbetomagus. One Day 4 Contemporary Art at the Institute of Contemporary Art, Boston, MA. Live soundtrack performance for “The Way Things Go,” a film by Peter Fischli & David Weiss. With ensemble. Multi-instrumentalist (cello/banjo/sarangi/keyboard/mandolin) with avant-rock group Mile Wide. Performances in New York, Cambridge, and Boston, including shows at The Knitting Factory, Middle East, TT The Bear’s, Jacque’s Cabaret, And Massachusetts College of Art (1995-1997). The Wire, “The Sound Sorcerers of EAI” by Dan Warburton. Paris Transatlantic, “The BSC: Manual” review by Michael Rosenstein. Analytical and Cross-Cultural Studies in World Music, Oxford University Press, “Timbre-and-Form: The BSC and the Boston Improvising Community” by Lou Bunk. Decibel Magazine, “Truck Krone” review by Scott Seward. Just Outside, “Live One” review by Brian Olewnick. The Kind of Music We Play’: A Study of Self-Idiomatic Improvised Music and Musicians in Boston,” Featured artist in dissertation for the PhD in Electronic Arts, Bullock, Rensselear Polytechnic Institute. Handmade Electronic Music: The Art of Hardware Hacking(Second Edition), by Nicolas Collins, Routledge. Text, video, and photo documentation of Rawlings’ open circuit electronics instrumentation. The Wire, “In Six Parts” review by Dan Warburton. Paris Transatlantic, “On That Which Is Best and the Best That Can Be Done Under the Circumstances” review by Dan Warburton. The Village Voice, “NRA Live at Office Ops” review by Chuck Eddy. The Wire, “Fall of Song” review by Keith Moline. SoundAmerican.org, “BSC on John Cage’s Song Books,” with Vic Rawlings, Bhob Rainey, Liz Tonne, Mike Bullock, Interview by Nate Wooley, 2012. “Should We Teach Experimental Music to Children?” by Vic Rawlings, Intransitive Magazine, 2010. “My Favorite Things: The Joy of the Gizmo” by Vic Rawlings, Leonardo Music Journal, LMJ 17, 2007. Test Pattern, WZBC, Guest Curator, Shirley Collins Retrospective, 2006. “Whereupon There Is Not There Is Also Another That,” YDLMIER, Cassette. “Truck Krone,” split premiere solo releases‎ with Liz Tonne, Semata Productions, Cassette. “Green Report 7,” duo with Tatsuya Nakatani, LP (forthcoming). “Nowhere Fast,” with Graveyards (John Olson and Ben Hall) and Bhob Rainey, LP (forthcoming). “The BSC: Manual,” NO Books, book and audio recordings of three performances. “Fairchild Chapel,” Feeney/Rawlings, Homophoni, digital download. “Failed State,” Symptomatic , YDLMIER, Cassette. “By My Side; I Am Your’s,” duo with Howard Stelzer, Intransitive Records, CD. “Ithaca Recordings,” Feeney/Rawlings, The Watchful Ear Listen Series, digital download. “Exploding Heart Mixes” (film soundtrack), with Brendan Murray, Students Of Decay, CD. “LCDU 1998,” Laurence Cook Disaster Unit, self-released, CD, Limited Edition. “Live One,” MAWJA, Chloë, CD. “Studio One,” MAWJA, al Maslakh, CD. “On that which is best, and the best that can be done under the circumstances,” Rawlings/Bullock, Fargone, CD. “In Six Parts,” Feeney/Rawlings, Sedimental, CD. “Pancake Alley,” guest banjo and electronics with United States Of Belt, Champ Records, CD. “N.R.A. (2),” N.R.A., Audio Dispatch, CD. “Enterprising Mass of Cilia,” with Masashi Harada Condanction Ensemble, Emanem, CD. “Good,” The BSC with Axel Dörner, Andrea Neumann, Grob, CD. “Open,” trio with Howard Stelzer and Jason Talbot, BOXmedia, CD. “Ziuhitsu,” undr quartet (two tracks) and duo with James Coleman (one track), Sedimental, CD. “Fin de la Voix,” electronics with Due Process (Ron Lessard and Jason Lescalleet), RRRecords, CD. “Everything’s Fine,” guest cello, banjo with Willard Grant Conspiracy, Rykodisc, CD and LP. “Saturnalia String Trio with Daniel Carter,” self-titled, Sublingual, 7″. “Mile Wide”, self-titled, Unlikely Records, CD. “Glen, Girl, Gallery,” Gwen Welliver, choreographer. Center for Performance Research, New York, NY. Composed and performed live score for dance with Jake Meginsky. Black Diamonds: Mountaintop Removal and the Fight for Coalfield Justice, feature-length film by Catherine Pancake. Solo banjo improvisations. Clara Wainwright: Tales of a Community Quilt, film by Alla Kovgan, soundtrack with Tatsuya Nakatani. “Red Haired Boy,” at Tsai Performance Center, Boston University, Boston, MA. Collaborative sound and movement performance with the Nicola Hawkins Dance Company. Composition for banjo. “Landscape,” at Tsai Performance Center, Boston University, Boston, MA. Sound and movement performance with Nicola Hawkins Dance Company. Composition for solo amplified aluminum cello. Ebbing, film by Jeff Silva, soundtrack with Tatsuya Nakatani. Belongings, film by Alla Kovgan, soundtrack. “Misguided Again,” at Mobius Gallery, Boston, MA, sound design for multi-media installation/performance (film by Pixonik Labs). “We Have Always Lived in the Castle,” at Killian Hall, MIT, Cambridge, MA. Sound design for theater performance by Charlestown Working Theater Group. “My Murderer,” at Mobius, Boston, MA. Sound design for theater performance by Charlestown Working Theater Group. Electronics: hardware hacking, basic circuit building, creative re-appropriation of materials. Fine wood- and metal-working bench skills. String instrument (fretted and violin family) restoration, repair, and modification. In addition to creating/modifying my own instruments, I have created/modified instruments/preparations and performance-based audio equipment for Jason Lescalleet, Greg Kelley, Bhob Rainey, Chris Cogburn, and others.